Our studio is just a few miles north of the Short North area, tucked between University District and Clintonville. If you want to have a canvas painting party at your business, home or a local bar/restaurant, we can travel to Westerville, New Albany, Grove City, Downtown Columbus, The Short North, Italian Village, Victorian Village, Hilliard, Clintonville, German Village, Worthington, Dublin, Powell, and more! Please note there is a $100 travel fee for any location within 10 miles of our studio, with $1/mile added after the first ten miles. As the premier art studio of Columbus, Ohio, it’s our specialty to provide the best date nights, celebrations, girls nights out and private events. 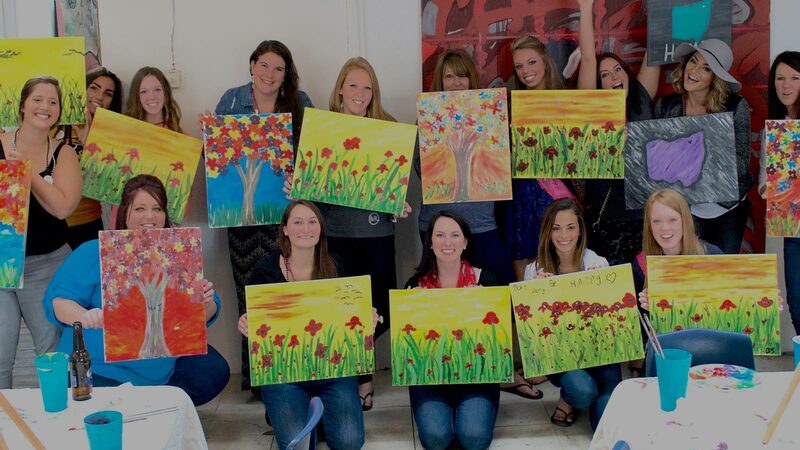 If you have a large group and would like to schedule a private painting party, don’t hesitate to call on us. We’re really good at parties! Whether you have a venue in mind, or would like to hold the party in your own home, we can host this party almost anywhere. Email info@studio614.com for more information.